Not long ago I wrote here jokingly about the fact that the U.S. has “too many” young players getting IM and GM norms. I hope everyone realizes I wasn’t serious… This is a true golden era of American chess. There are seven Americans on the list, and all of the others are very familiar to me. Ray Robson at #10/11. 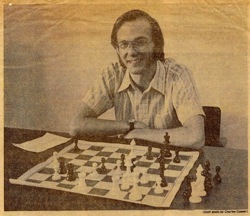 Daniel Naroditsky, chess author and last year’s U.S. Junior champion, at #21. Kayden Troff, the current U.S. Junior champion, at #39. Darwin Yang at #47. Samuel Sevian at #63. And even Jeffrey Xiong at #86 is someone I knew about. But who is Akshat Chandra? Well, as it turns out I should have known about him. He recently made his first GM norm at the Marshall Chess Club and he writes an excellent blog called Quest to Chess Grandmaster. Like Daniel Naroditsky, he seems to be blessed with the gift of writing as well as playing chess, and I hope he’ll consider writing articles or books some day. I have two excuses for not having come across Chandra’s name before. First, he is on the east coast. I definitely have a bias towards west coast players in this blog — it’s only natural for me to write about the people I see in tournaments. And second, he wasn’t even in America at all until 2013. In fact, Chandra’s story is quite amazing. According to his blog, he lived in India for four years, 2009 to 2013, and it was at the beginning of his time there that he caught the chess fever. He didn’t even learn to play until he was 10. This separates him from most top junior players, who learn at age seven or six or even earlier. He is a shining example for any parents who are asking, “My kid didn’t start playing tournaments until he was 10. Is there any hope that he can catch up?” Age 10 is not too late to start. The growing mind is a remarkable thing. Passion and commitment can easily make up for a two- or three-year head start. For whatever reason, from his very first tournament Chandra set himself the goal of becoming a GM. And he has not let anything or anybody get in his way. One of his most entertaining posts is about his first tournament game after getting his first FIDE rating (1548). He was paired against an IM with a rating of 2291! He writes about his “awe” before this player, but nevertheless he completely outplayed him before agreeing to a draw in an endgame where he was up a piece for a pawn. For those of you who have been reading this blog long enough, Chandra’s attitude contrasts with that of a certain aspiring GM who threw a hissy fit when a similar technicality kept him from qualifying for a GM norm. I will not mention names because this gentleman has since grown up and made amends for his behavior. But it’s just interesting to me how certain things come naturally to some people — whether it’s beating IM’s or shrugging off our disappointments, even when they are undeserved. Other people have to learn them the hard way. I have only one slight concern, and that is the title of Akshat’s blog, “Quest to Chess Grandmaster.” All the signs point to his achieving this quest in the not too distant future. I think he has a better than even chance of reaching GM within the next year. But even if it takes a little longer, he will surely make it. What happens then? I hope that his chess ambition won’t end when he gets his GM title. Will he change his blog title to “Quest to World Champion”? P.S. I noticed that one of the other participants in the Serbian tournament was another American teenager, whom I know very well from Bay Area tournaments: Yian Liou. He had a good tournament by anyone’s standards except Chandra’s, with a score of 5½-3½, plus he got his picture on Chessdom.com! A generation or two ago, American players never got a chance to play in Europe. Now American teenagers are traveling all over the world, even spending the Fourth of July in Serbia. How times have changed! P.P.S. If my calculations are correct, Chandra’s result should move him up to #63 among world juniors — tied with one of our other “seven samurai,” Samuel Sevian.